It’s been a very long night. My hands have nearly fallen off from typing, or should I say Oscar Blogging? til all hours. It was more fun last year. 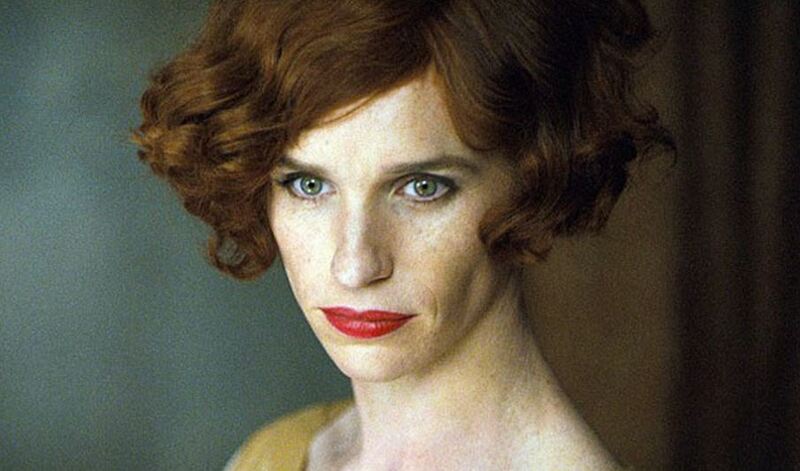 And my friend, Eddie Redmayne, won. So it was all worth it. In case you haven’t heard “Birdman” won Best Picture, which I didn’t predict, and it also won Best Director, which I DID predict…and “Boyhood” only won for Best Supporting Actress, Patricia Arquette. I know Sasha was behind “Boyhood,” too, so even though she got to go to the Oscars themselves for the first time in her life tonight, I’m sure she’s very bummed about “Boyhood”s loss. But Eddie won the miracle win. So yes, Virginia, there IS a Santa Claus, and sometimes things do turn out right. And quality and talent triumphs as it did tonight in the Best Actor category. And “Grand Budapest Hotel” won FOUR awards, including Alexandre Desplat’s evocative musical score. I think that was as many as (blech) “Birdman” won. But GOD, was this a lonnnnnng show? One of the longest ever. And congratulations to Jeffrey Wells at htttp://www.hollywood-elsewhere.com. He was all about “Birdman” from the minute he saw it at, I think it was Tellluride. He championed it and wrote about INCESSANTLY! It was driving his writing, like the percusssive score was driving “Birdman” the movie. And the character. I bet Jeff feels like HE won an Oscar himself tonight. But for a major Oscar blogger to go after a film and help and espouse it against all odds, initially, and for it to actually win is really, really an important thing for all us other bloggers. Makes them take our writing and our WORK much more seriously. Thank you for that, Jeff. I wish I had liked “Birdman” more. It was about an actor, and I love actors. Everybody knows that. But I think this film demeaned actors and the theater. And I love the theater. Everybody knows that, too. *sigh* Well, maybe I’ll see it again someday. But I doubt it. Lady GaGa Perks Things Up with a Medley From…. This has got to be the longest Oscar on record. It’s 11:31 AM EST. Lady Gaga came out and sang a medley of songs from, wait for it, “The Sound of Music”! Then Julie Andrews came out! And neither of these things has anything to do with this year’s nominated films! WAY TO MAKE A LONG SHOW LONNNNNGER! 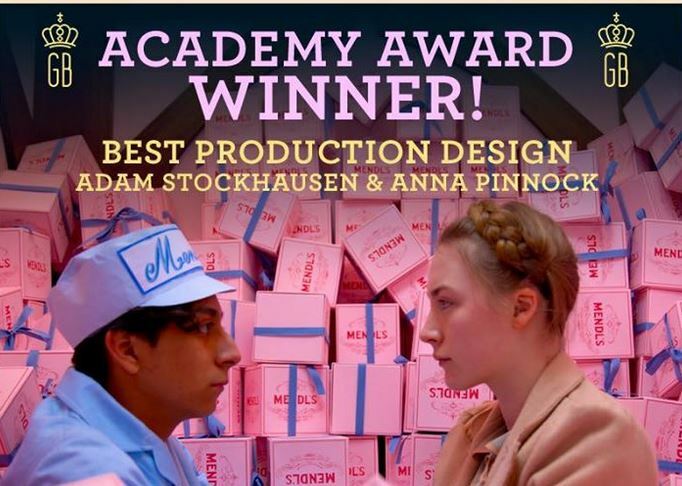 And did I mention that “Grand Budapest Hotel” won Best Production Design for Adam Stockhausen and Anna Pinnock? Oh, I did…It’s been a long night. And btw, Best Documentary went as expected to “Citizen Four” and “Glory” from “Selma” won Best Song. At least “Selma” won SOMEthing! Uh-Oh! “Whiplash” Wins All Important Best Editing Oscar Over “Boyhood” in an UPSET! In one of the biggest upsets (so far) of the night, “Whiplash” is proving to have garnered more love than anyone thought! It just won Best Editing! That’s a VERY important award! It often indicates what film might be the winner! And “Boyhood” with twelve years of footage to edit, I THOUGHT, should be the winner of this. But this is a true upset. It didn’t. I LOVED “Whiplash” and I’ve been bummed that it hasn’t done better at the Box-Office. 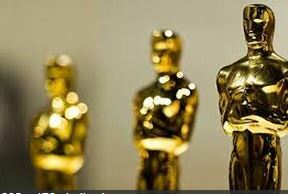 Now that’s ALREADY won THREE Oscars tonight, for Best Supporting Actor, Best Sound Mixing(which everyone thought would go to “American Sniper” which got the other sound award Sound Editing) now, hopefully, the crowds will come. “Whiplash” opened the Sundance Film Festival a YEAR ago January 2014! And it certainly has gone the distance! WOW! Could IT be the surprise winner of the Big O tonight? It IS nominated for Best Picture…. “Grand Budapest Hotel” won Best Production Design, as expected. So now GBH is tied with “Whiplash” for the most Oscars so far. Three each. And “Birdman” has one and “Boyhood” has one. Another upset occurred in the Best Animated Film category, which I have to admit I have not been following this year as closely as I have in the past. It went in a surprise to “Big Hero 6” and not “How to Train Your Dragon 2″ which everyone thought was going to win after the”Lego Movie” was excluded.Or rather not nominated. “Interstellar” won,as expected for Best Special Effects. Well, dear readers, dear cineastes, it’s almost over. Last week I was really beginning to feel Oscar burn-out as opposed to Oscar fever. And really since TIFF, which was now nearly six months ago, we Oscarologists, or Oscar Ninnys as the late lamented David Carr called us, have been writing over and over again about the same small group of films.”Oscar Island,” Sasha Stone calls it. And it gets smaller and smaller and also more crowded every year, and it’s not because of Global Warming. 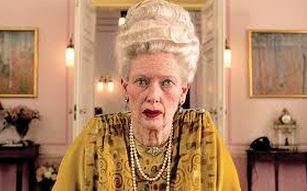 With the FINAL three guild societies weighing in over the week, Sound, Hair and Make-Up and the Writers Guild, I think, we have to pause and note that “The Grand Budapest Hotel” won in all three races. That really says something. 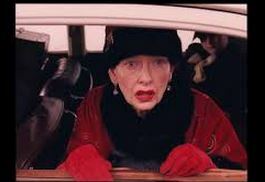 I think that “Grand Budapest” is going to be, astonishingly, the film that wins the most Oscars next Sunday night. It’s not a blockbuster sci-fi film with a lot of explosions and special effects, but it’s going to sweep I think all the below-the-line categories. I think Golden Boy Eddie Redmayne is going to get a l’il golden guy of his own for his extraordinary, heart-wrenching portrayal of Stephen Hawkings in “The Theory of Everything.” The main, brain-teasing question is what is going to win Best Picture and Best Director, and this year has been so close and so crazy that I’m predicting a split between the two supposed front-runners “Boyhood” and “Birdman.” And that one will win Best Director and the other Best Picture. 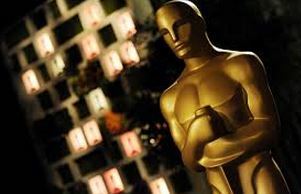 I think it’s going to break down this way because the Academy has been so stung this year by accusations of racism for not nominating Ava DuVernay or David Oyelowo as Best Director and Best Actor for “Selma.” So by giving the Best Director award to ANOTHER minority director, Innaritu, who is Hispanic, that particular accusation can be quelled. Somewhat. But Oscar always brings a surprise or two along. Although this year has been so over-analyzed and yes, even over-covered, that will probably be nothing new to us Oscar Ninnys that follow all this. Except that. Except that. “Grand Budapest Hotel” which has been quietly picking up award after award in the third place position (it also just won Best Screenplay at the BAFTAs, and Best Original Screenplay last night at the WGA) could surprise and cancel out the two battling competitors. It’s true. It could happen. Oscar I love it when you surprise! “Theory of Everything” Wins BAFTA Best Adapted Screenplay, “Grand Budapest” Makes It 5 with Best Costumes! The hits keep rolling in from the other side of the pond. “The Theory of Everything” just won the very important Best Adapted Screenplay. This makes it two awards so far as it just won Best British Film a little earlier in the evening. “Grand Budapest Hotel” now leads with FIVE wins having just nailed Best Costumes for Milena Canonero. And Jack O’Connell of “Unbroken” finally brings an award to that film that was quite frankly until JUST NOW broken in terms of the awards season. But personally, I did like O’Connell and saw his star potential, though he is HARDLY Italian-American in this role of WWII vet Louis Zamperini. 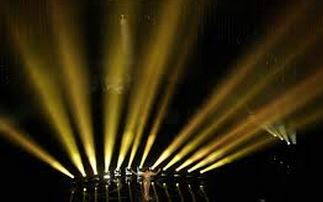 O’Connell won the Rising Star Award which is voted on by the public. More still to come! Stay tuned!